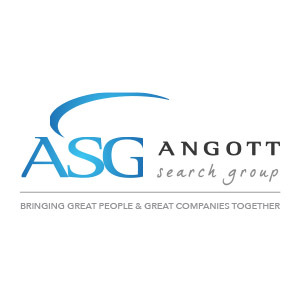 Angott Search Group has partnered with their credit union client in their search for a Sales and Service Manager. This person will assist in driving the sales and service of the credit union. They will promote, implement, and ensure the highest quality member experience with every member, every time, at every point of interaction. Works closely with the COO and other leaders to define strategic goals and objectives. Develops and executes a strategic plan. Analyzes results and adjusts plans to maximize results. Oversees continual skill development and the educational and learning requirements of the team by leveraging internal and external resources to keep team members’ tools and knowledge sharp. Assists in delivering top line revenue and bottom line profitability by ensuring appropriate products, services, focus and expense management. Maintains appropriate risk management and operational controls at every branch location. Ensures compliance with Credit Union policies, procedures and regulatory requirements. Develop and lead member acquisition and sales goals/plans for the Credit Union. Work with the Selection Team, to identify talent and ensure that the talent that is brought in is very clear about the expectations of adherence to the sales and service culture. Must be able to serve effectively in branch leadership positions and fill in as needed. Becomes/is an advocate of The Michigan First Way, supporting all facets of it. Bachelor’s Degree or higher in Business, Sales Management or other related field of work. Minimum of five (5) years of experience in sales leadership roles. Comprehensive knowledge of branch operations (both sales and service). Proven track record of creating disciplined sales and service goals/targets to ensure a quality member experience, while achieving profitability. Strong interpersonal communication skills, both written and verbal. Ability to work with multiple technology systems for all business planning and reporting purposes. Competent in analyzing data and holds a metrics-driven mindset to achieve results.